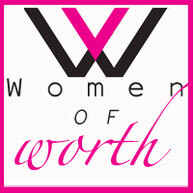 This is a ministry to meet the specific needs of women in our ever changing culture. Lots of fun and great fellowship. Shut-in ministry - A meal is provided. Bereavement Ministry - We try to provide a meal to a family which has lost a love one. Monthly Support - is given to Hillcrest Children's Home, Walter Hoving Home (a home for girls) and various other missions. Christmas Projects - We provide filled Christmas stockings to organizations in DC. and New York City to be given away at Christmas. Groceries, including a turkey, are given to shut-ins and retired ministries. An offering is given to Mt. Hope to purchase gifts for children of prison inmates and cookies are provided for the senior adults of the church. Througout the year you will find us working on several projects which may include: quilts, cookbooks, serving meals at youth camp, breakfast for men on their "work" days, hosting a craft night, or taking a trip to Sight and Sound, etc.